Continues for the 19th year in agrotourism festival in the harbor of Old Epidaurus, held all Fridays, Saturdays and Sundays in July. The festival, with more stands and more stylish, opened last weekend and organized by the Municipality of Epidaurus and the Peloponnese region, while at the inauguration did Epidaurus Constantine Gkatzios mayor, the participation of visitors was very high. The main objective of agrotourism festival is the openness of rural Peloponnesian high quality products and the Peloponnesian gastronomy, adding goodwill to the whole economy of the region. During the inauguration, the Deputy Head of Communications Dina Nikolaki, representing the Prefect Peter Tatoulis, underlined the need for further upgrading of rural tourism festival, which encompasses said, an international brand such as Epidaurus, stressing the need for interconnection with other important pillars culture and agri-foods and announced its inclusion in priority to actions of the new NSRF. Common conviction was that it was time Epidaurus and the festival to take the next step in a spirit of innovative, sustainable and integrated into society, combining quality products, the historical role of Asklepios and the ancient port, highlighting and protecting the archaeological wealth of the area. 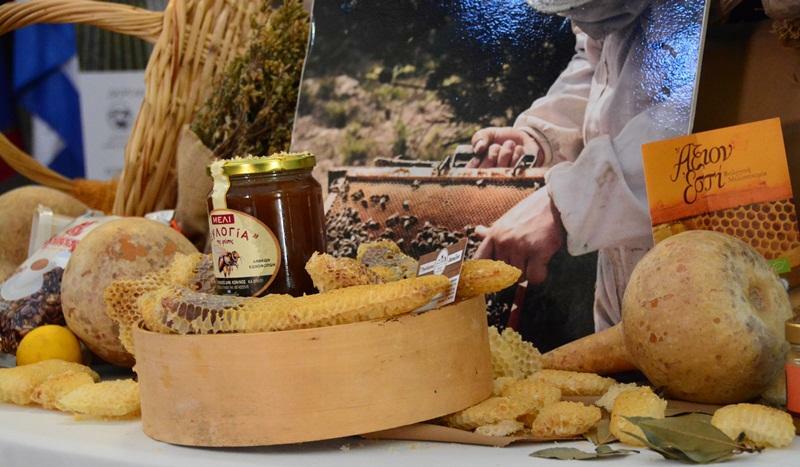 The agrotourism festival brings together producers, cottage industries, cooperatives, craftsmen, artists and tradesmen traditional products from Epidaurus and the Peloponnese, in order to familiarize the visitors with products of the Greek land, support for local producers and their initiation into the spirit and values conveyed through agritourism. To emphasize that during the festival the weekend of July, in parallel fashion and cultural events, including a concert by Dimitris Basis and Eleni Peta Sunday July 17 at 9.00 pm with entry free to the public, while 29 and July 30 will be held culinary celebrity chef.